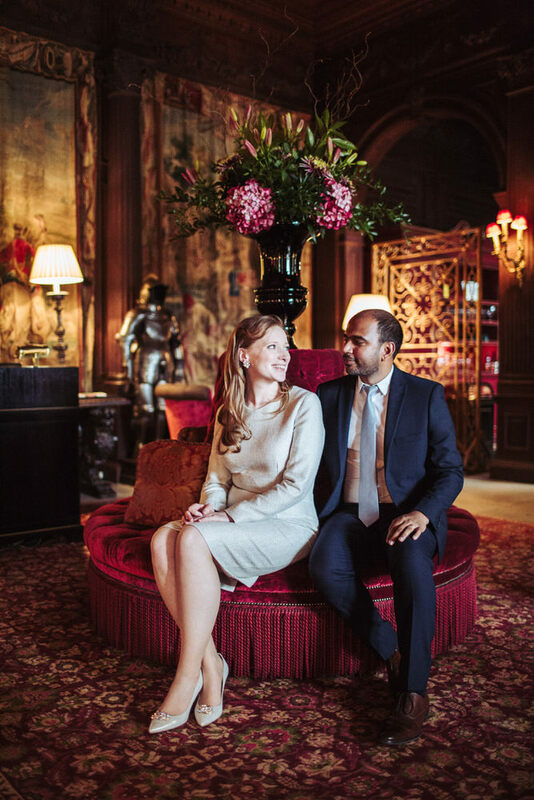 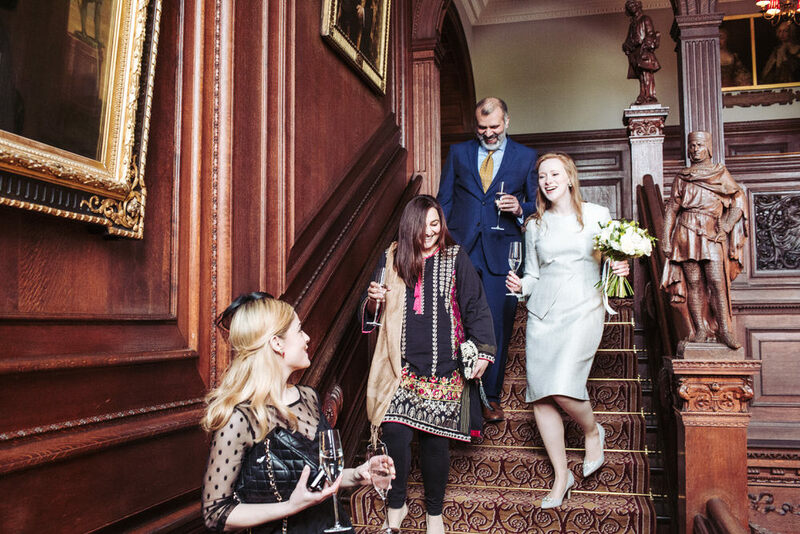 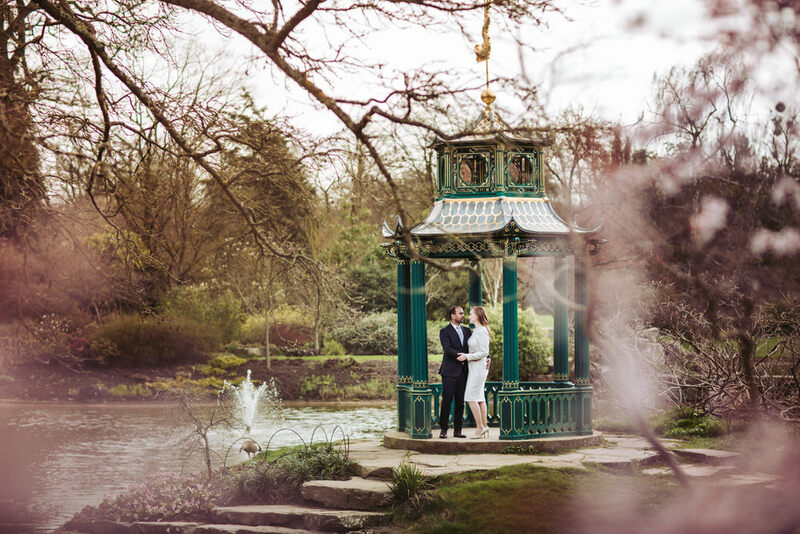 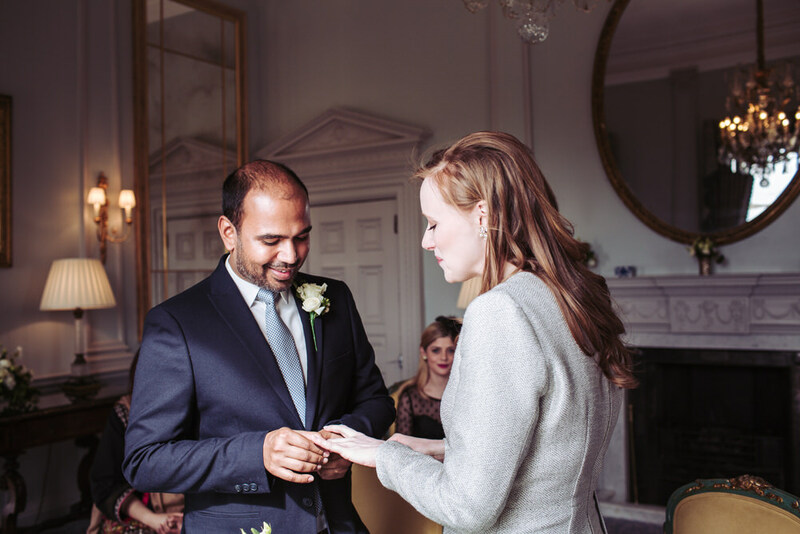 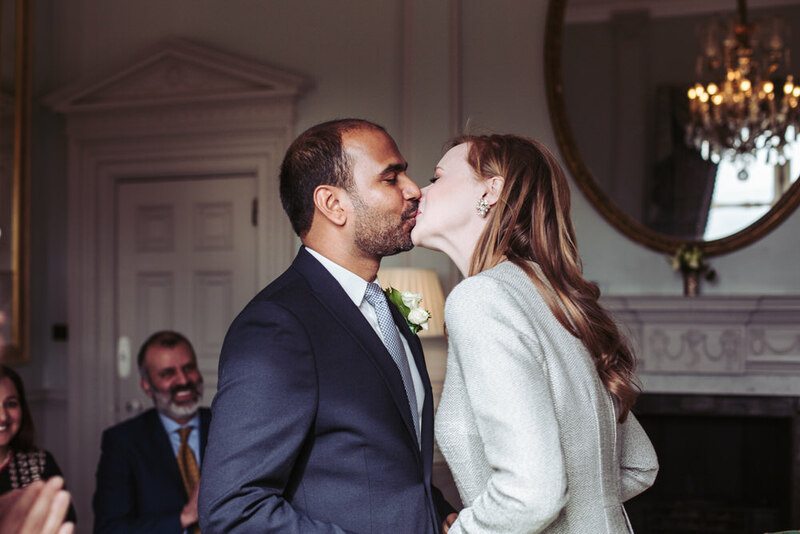 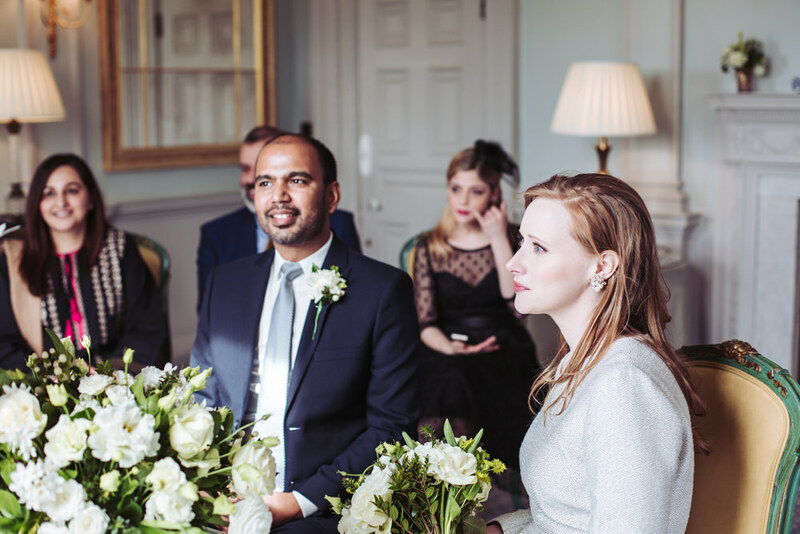 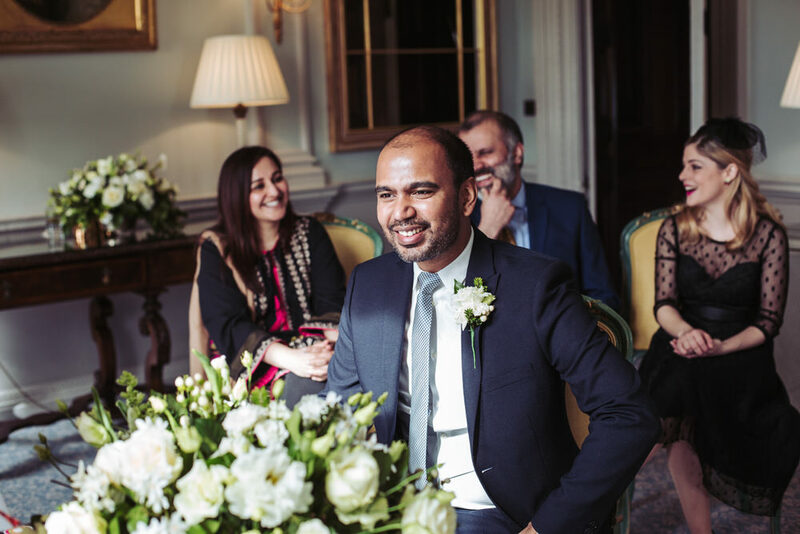 Saffron & Chandra’s Cliveden House wedding was an intimate affair, with only six guests. 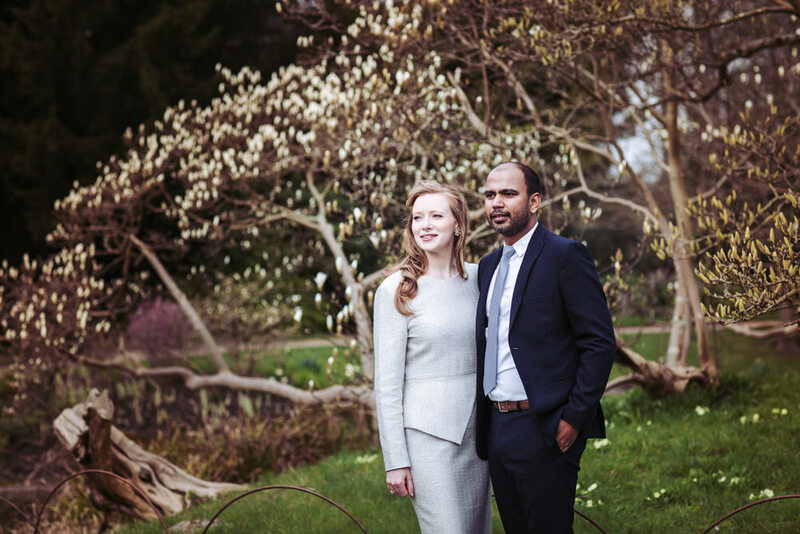 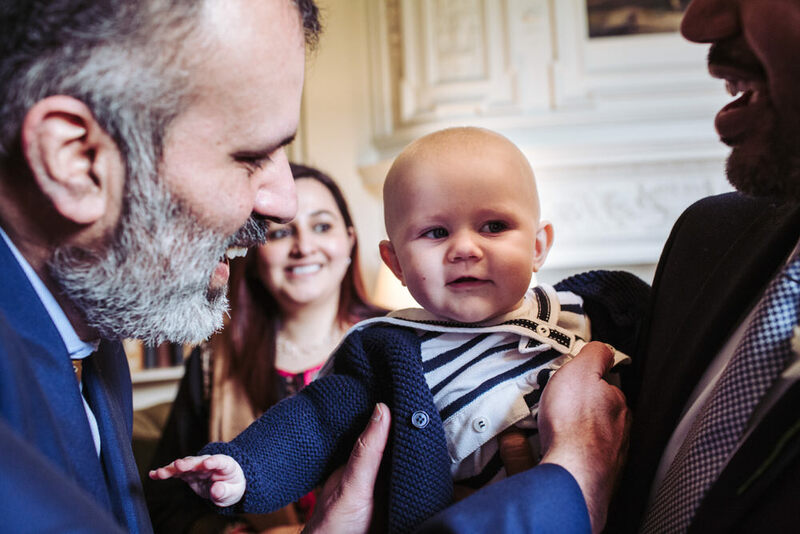 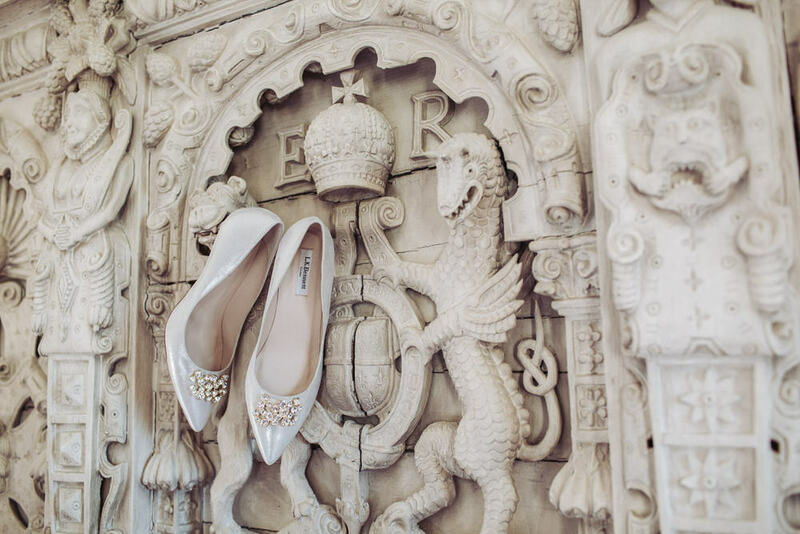 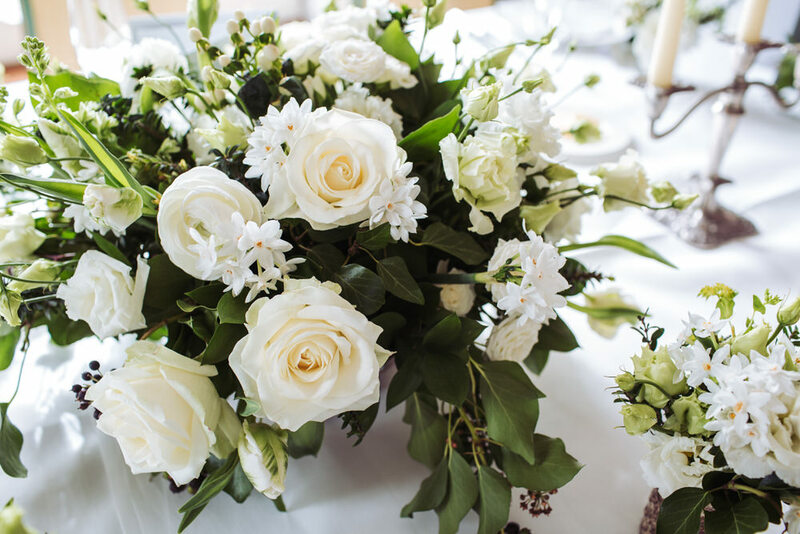 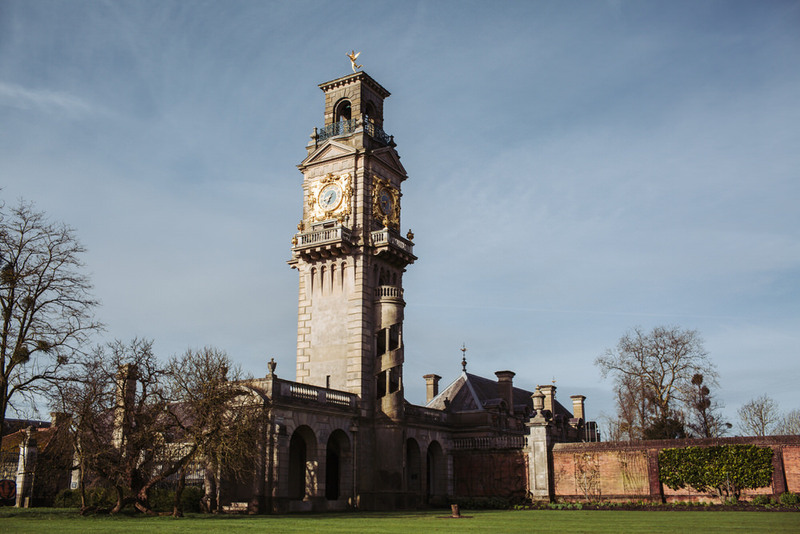 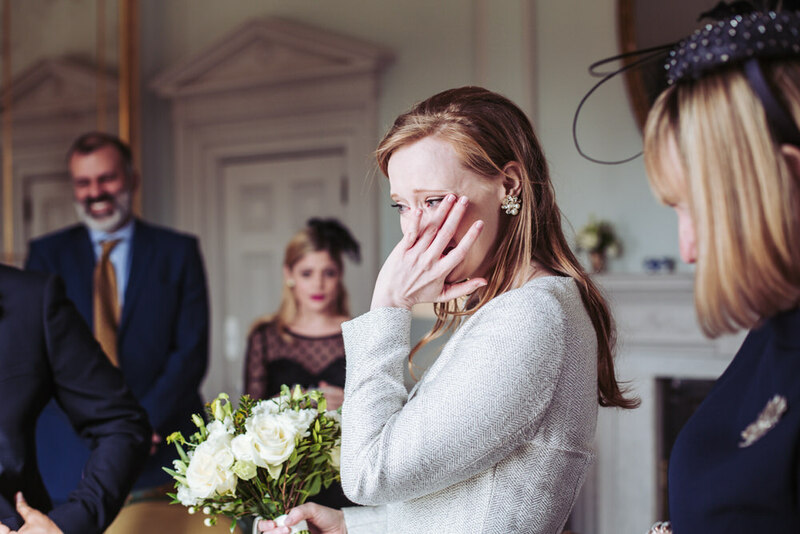 They had planned a simple and relaxed day at this impressive National Trust property in Buckinghamshire, with just five hours of wedding photography cover as there was no evening reception. 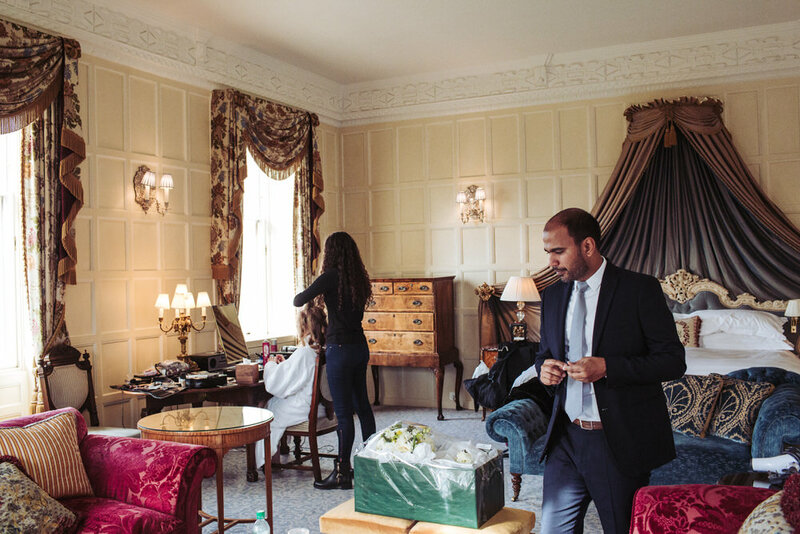 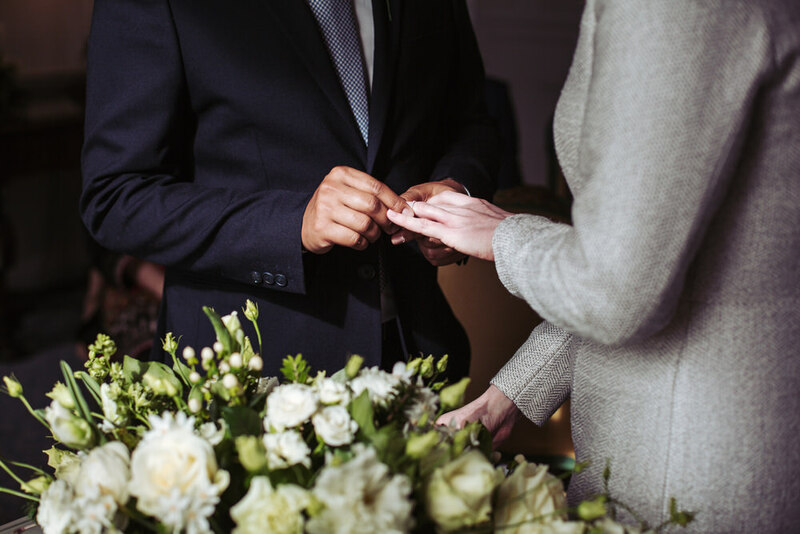 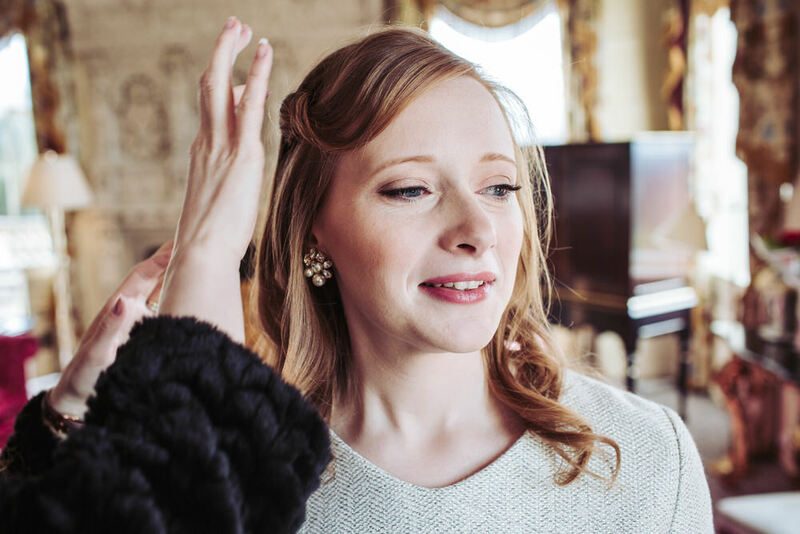 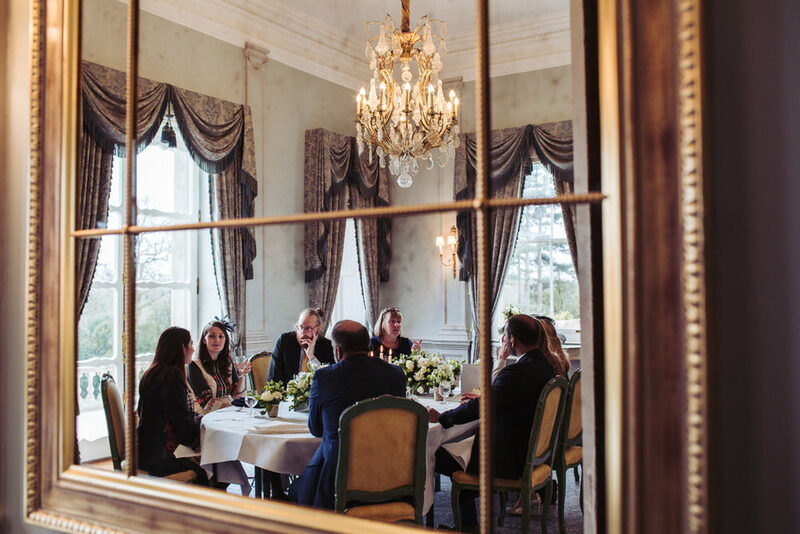 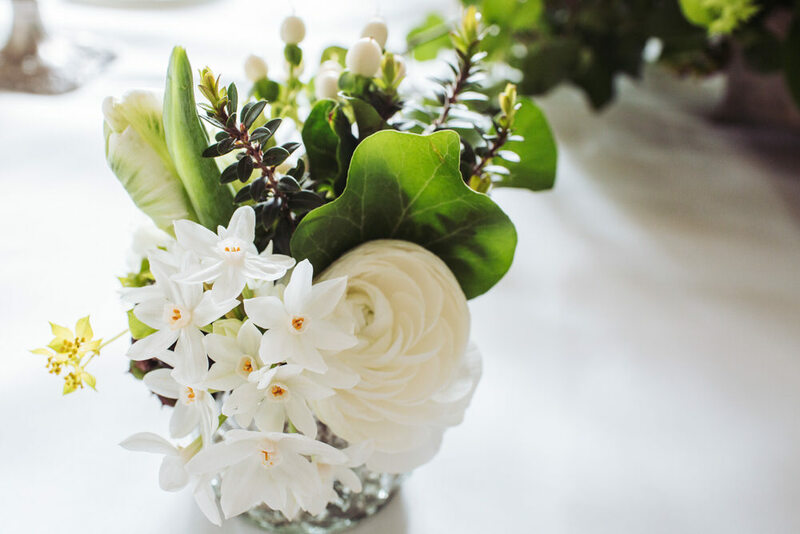 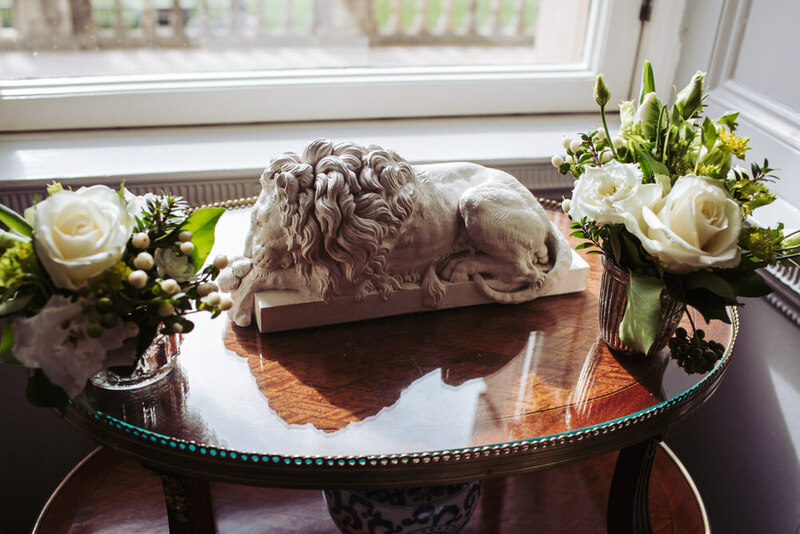 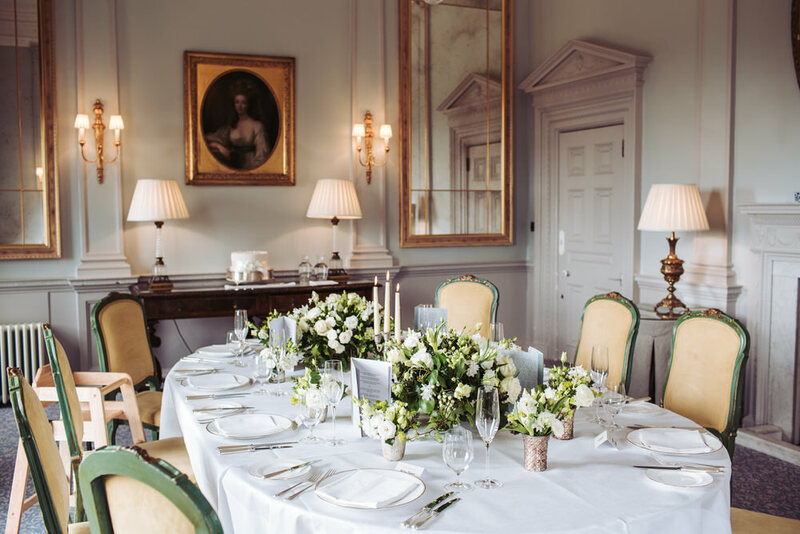 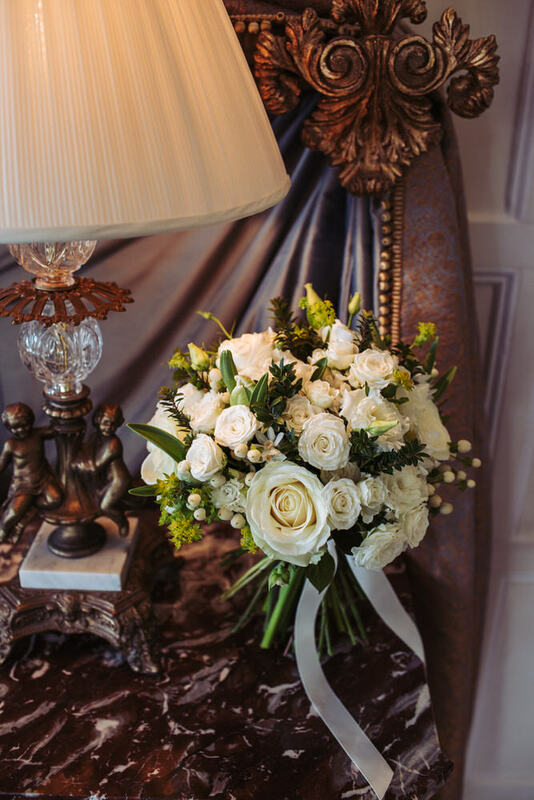 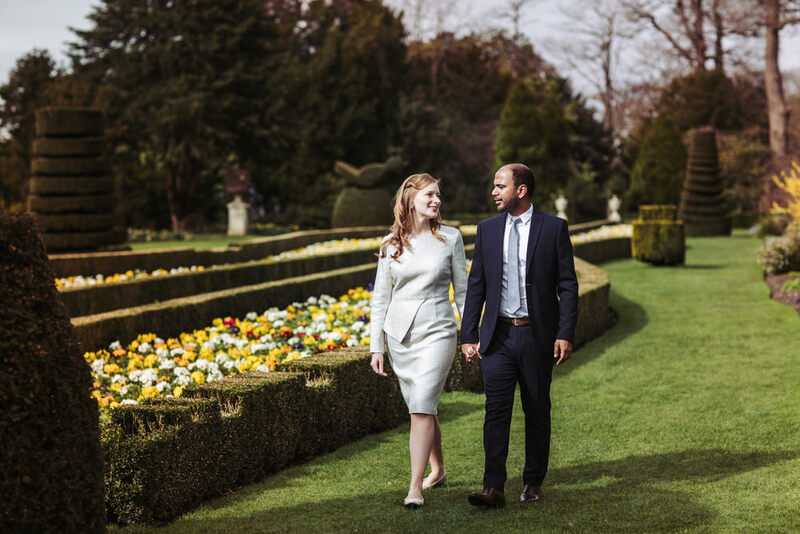 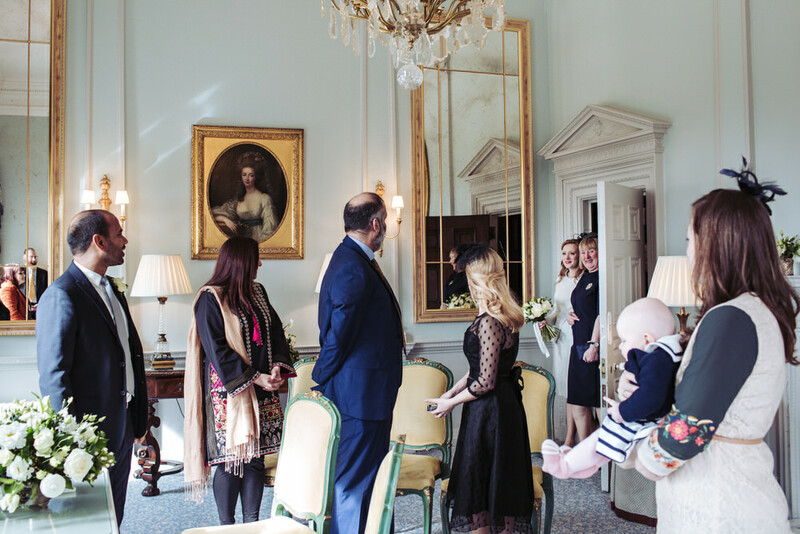 The bride and groom prepared themselves together in the luxurious surroundings of the Lady Astor Suite, then prior to the ceremony the three of us headed out for a stroll around the extensive gardens for a couples photo session. 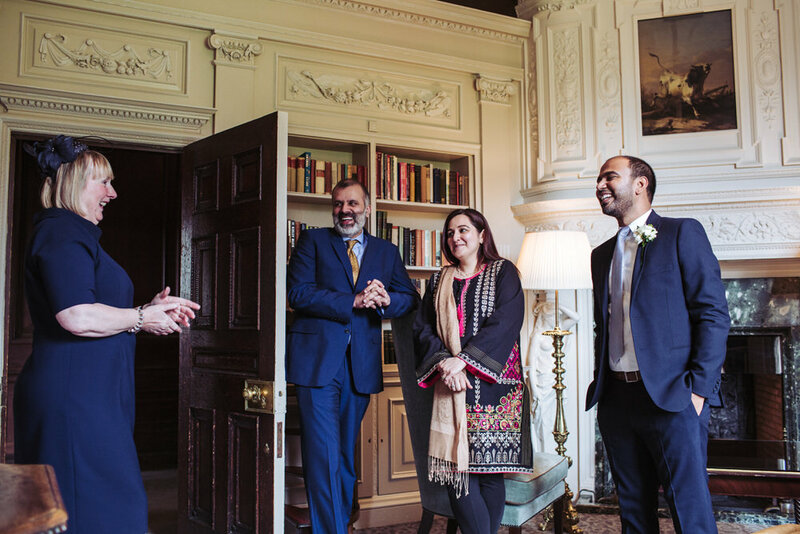 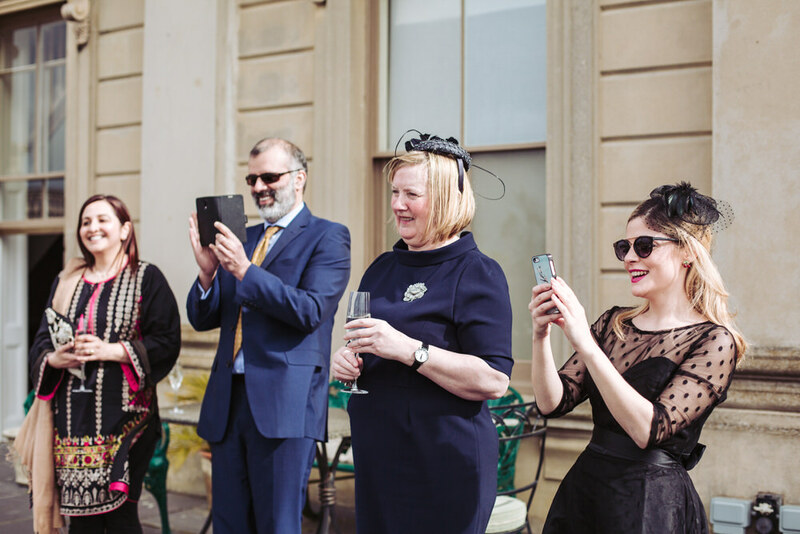 Having the majority of their couples photos taken before the ceremony began meant that the rest of their day was far more relaxing, resulting in the couple having more time during the drinks reception enjoying the company of their family and guests. 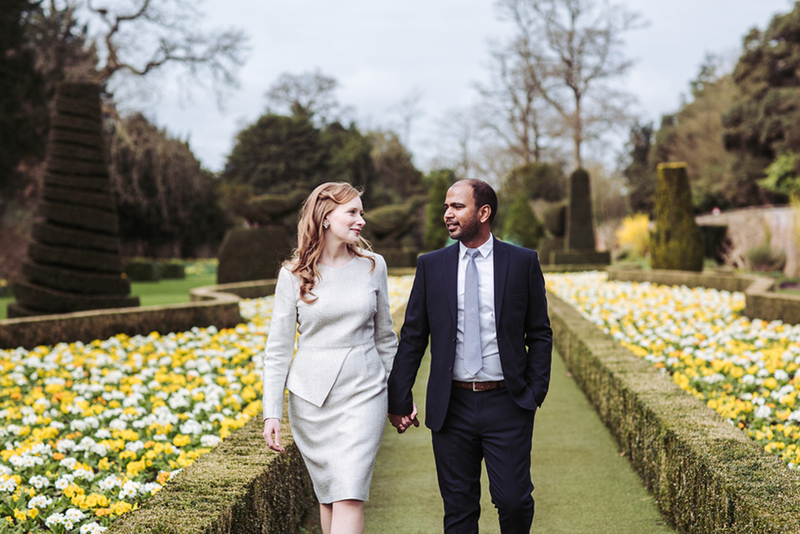 This extra time with people being particularly important to Saffron and Chandra as they live in India and were only visiting the UK for a short time. 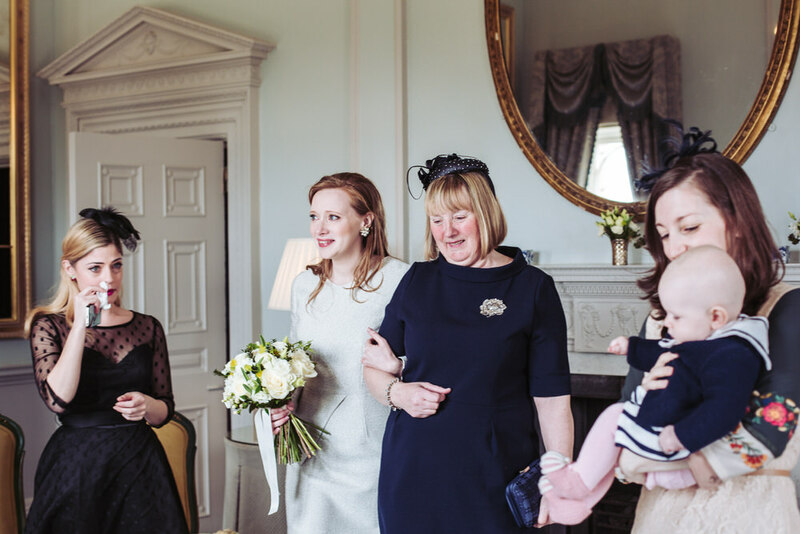 The mother of the bride had once been a wedding photographer herself and Saffron and her brother had spent many an occasion assisting her on the job. 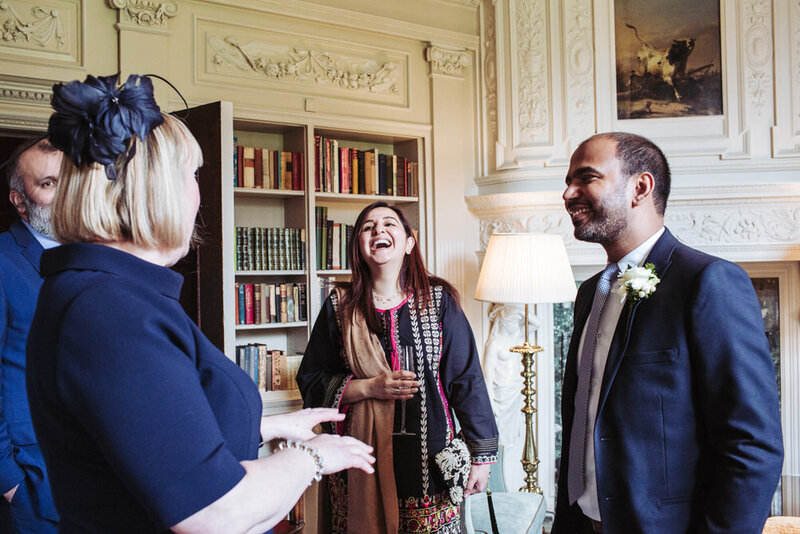 They therefore had a great appreciation for my role to the point that Saffron even commented to me on several occasions during the day “you don’t realise how important a person you are today.” I must admit, I was taken back a little having this said to me and I’m still fairly sure that Saffron trumped me by being the bride ‘n’ all. 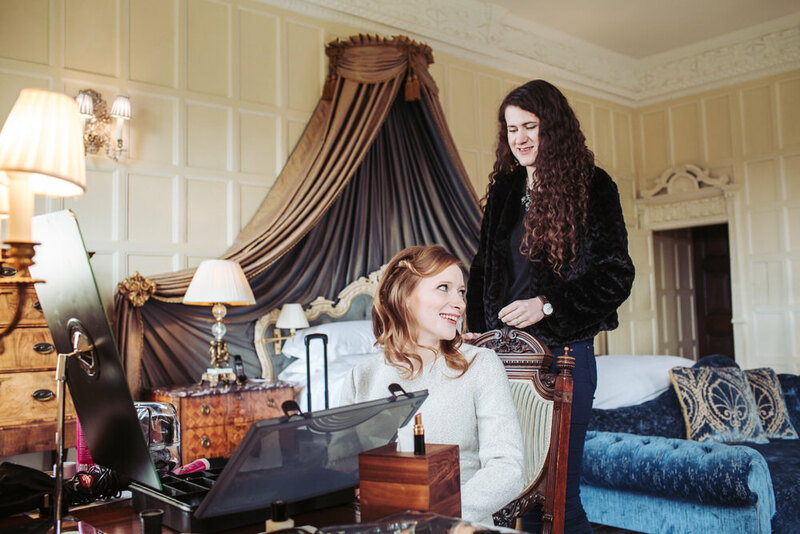 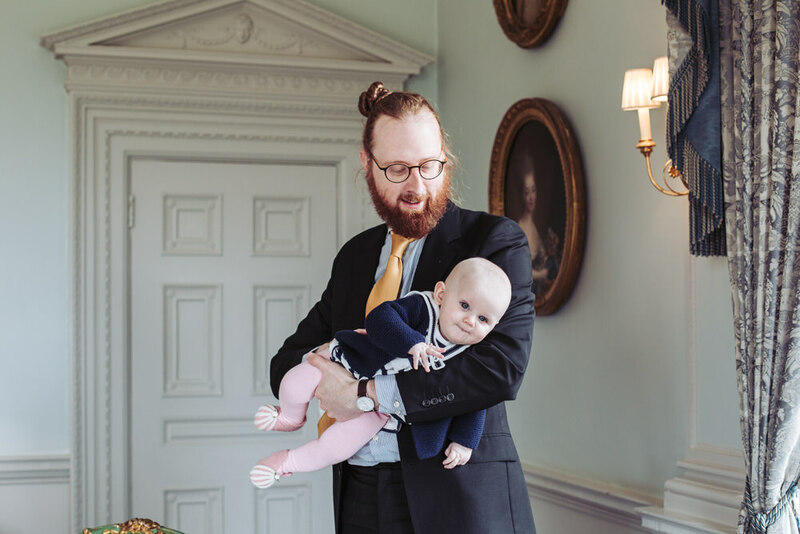 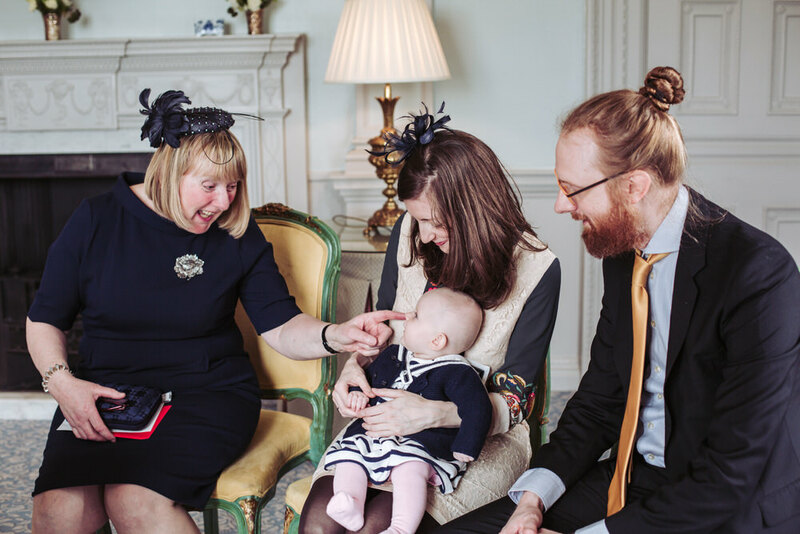 However, it was lovely to feel so appreciated and be surrounded by people who exactly understood the effort that goes into my work – bar the fact that unlike Saffron’s mother, Hilary, I was shooting in digital format and not on film as she would have done in her time. 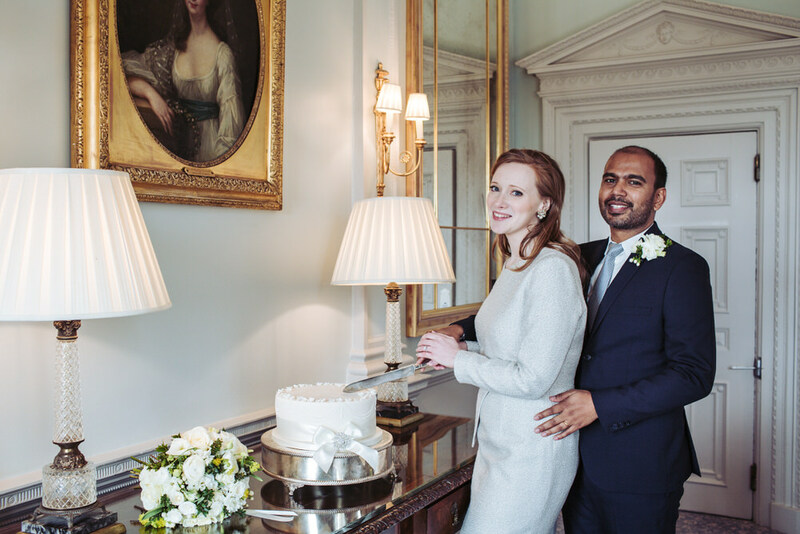 At the end of the day I was delighted to be offered a slice of cake for my journey home. 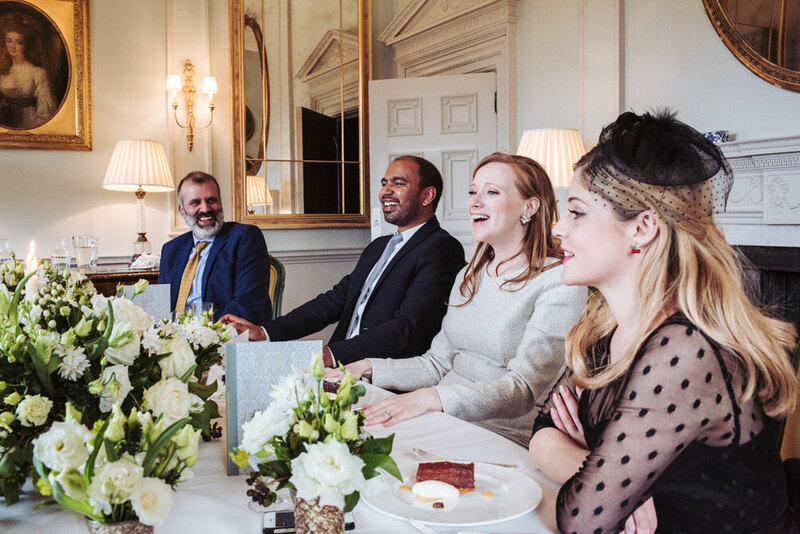 What I wasn’t expecting was a slice so large, that it weighed in at just over a kilo! 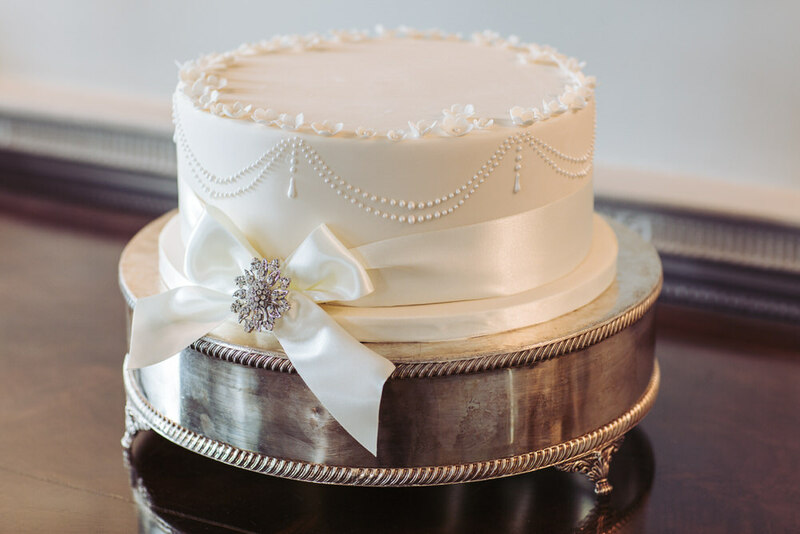 Goodbye waistline, hello cake! 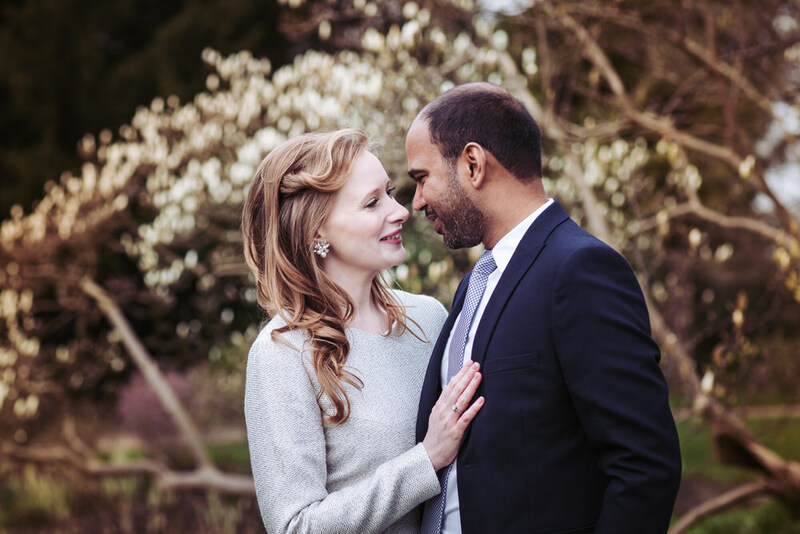 Needless to say that Saffron & Chandra’s Cliveden House wedding was a superb day and was a huge pleasure to capture so many wonderful moments for such lovely people. 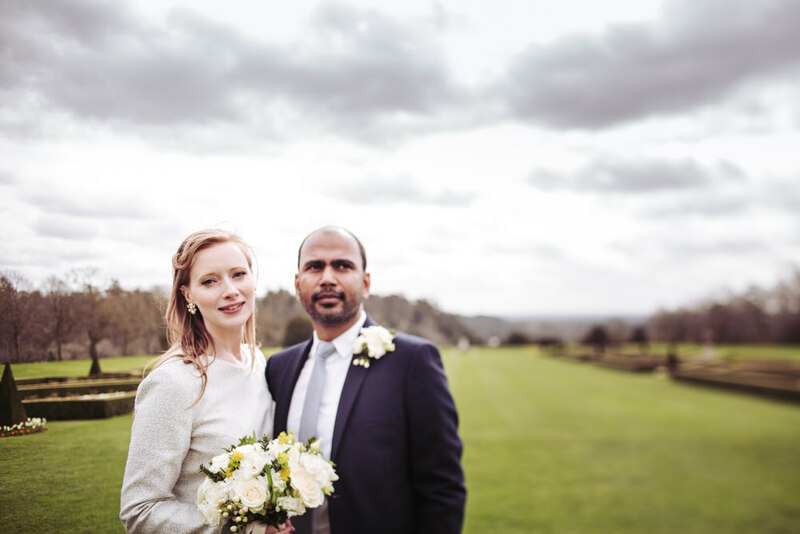 Anyhow, time for me to stop waffling and you to check out some photos of this super couple! 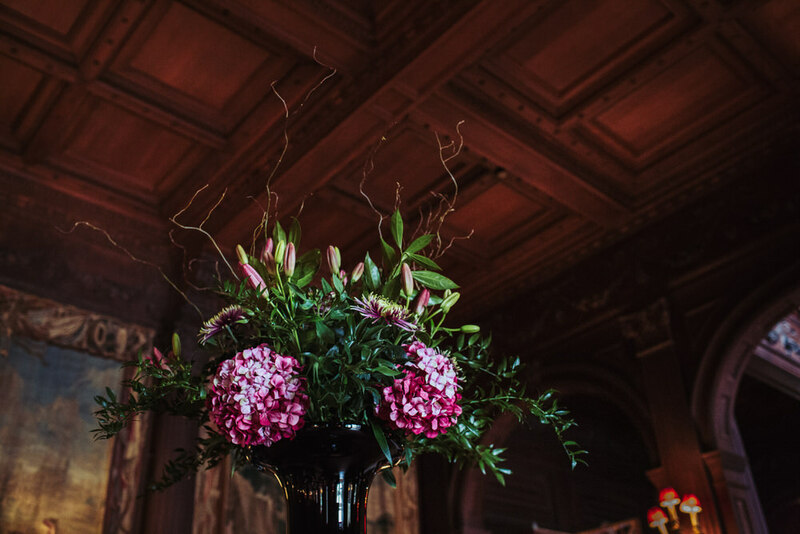 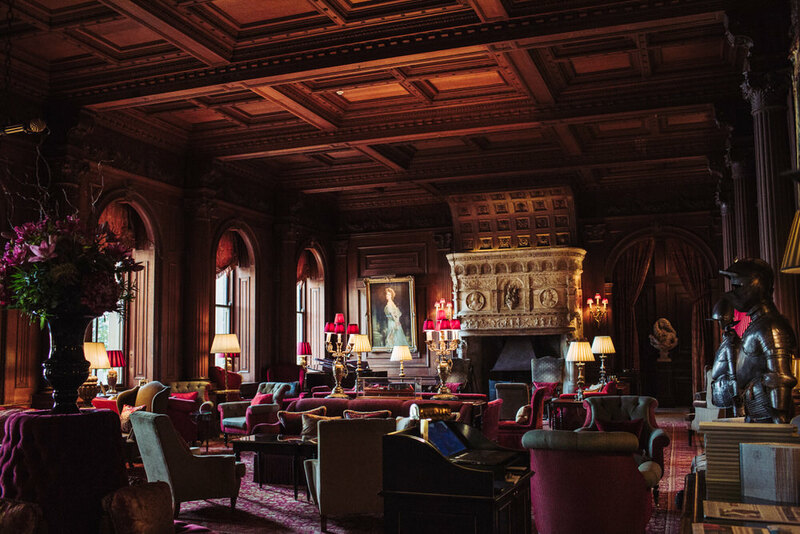 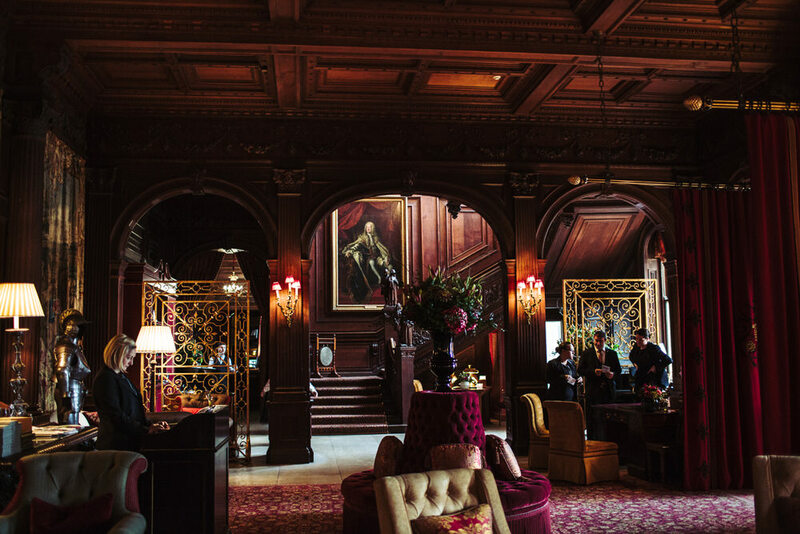 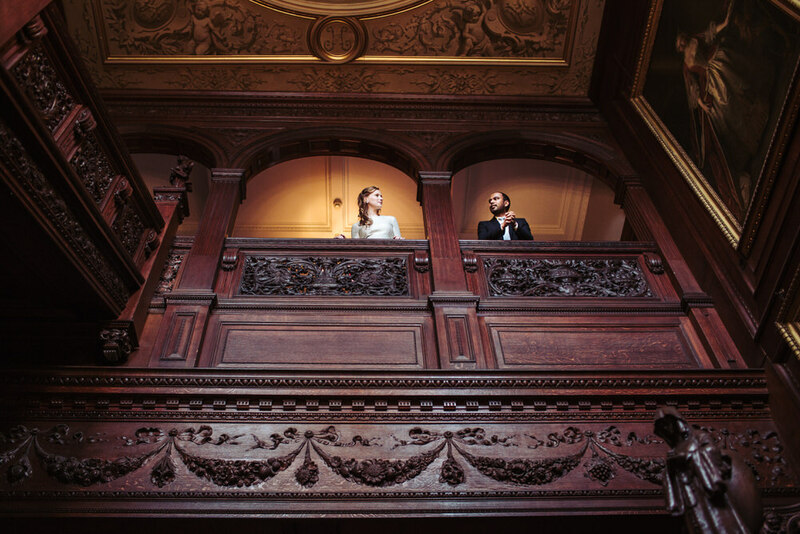 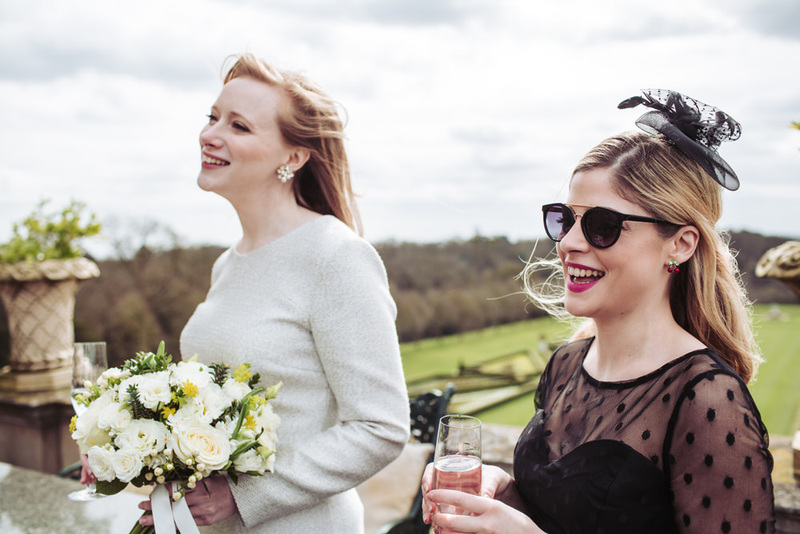 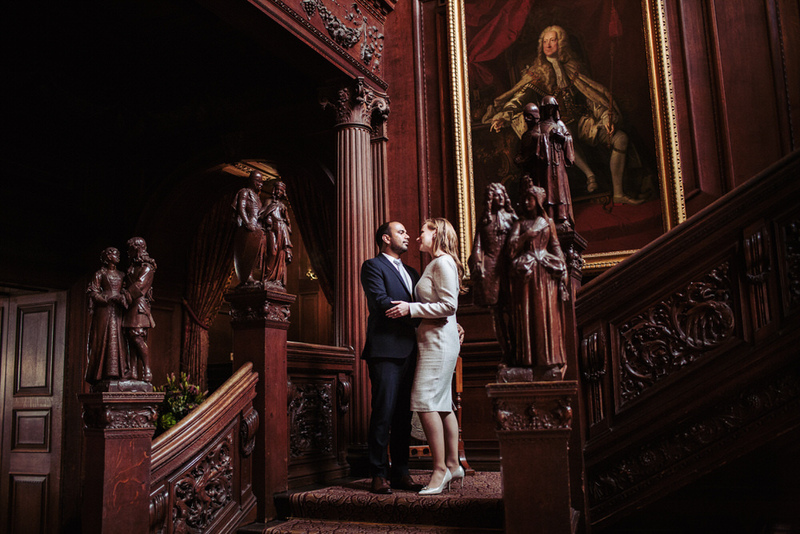 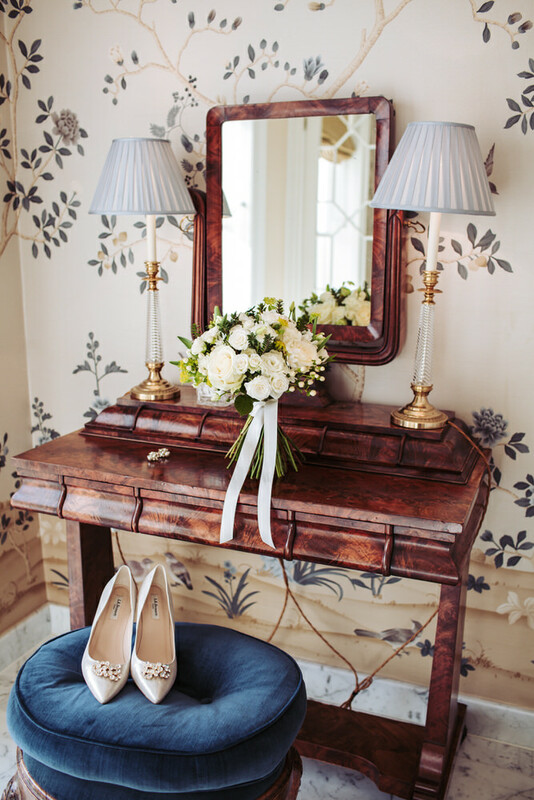 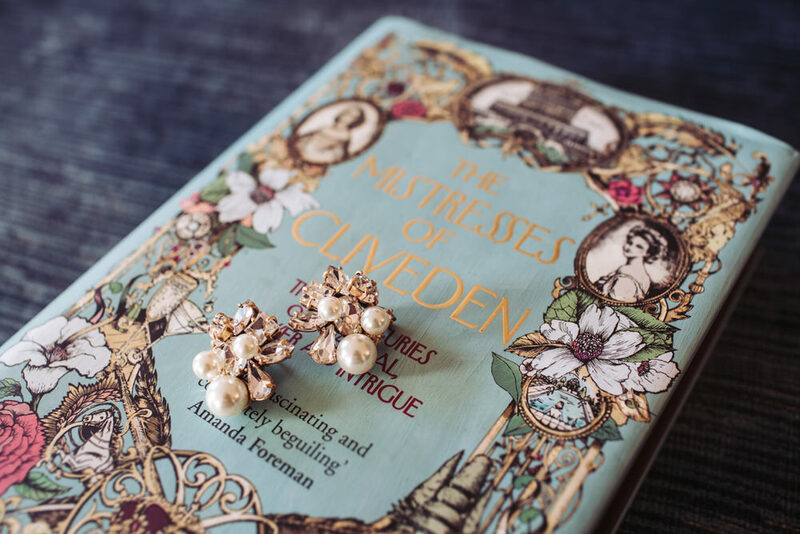 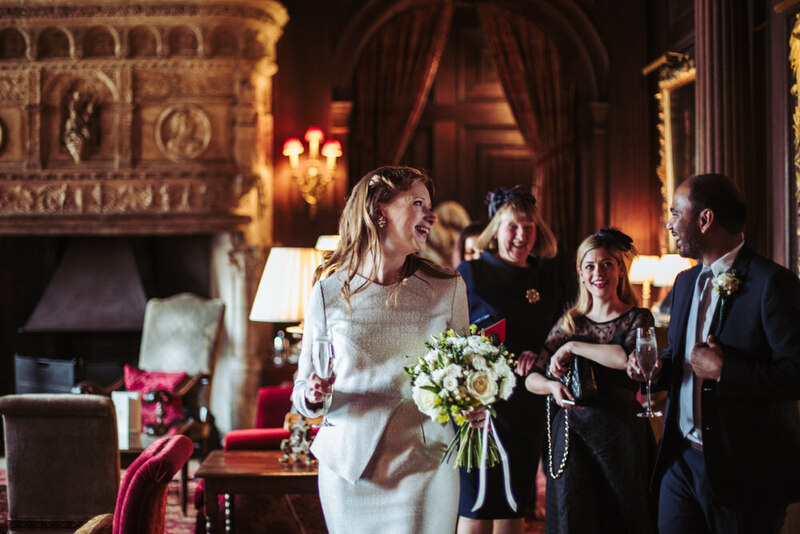 If your looking for a Cliveden House wedding photographer, I would love to hear from you!